The Internet is a wild and unstructured place. After surfing around, you may find yourself trying to remember who you contacted in your job search, where you read this or that. You may even forget what networks you’ve joined, which is a real problem when you’re trying to conduct a job search in today’s social media–heavy environment. The Google+ profile is a page that Google gives all its users to display their web presence, photos, and links. Anyone who has a Gmail login also has a Google+ profile waiting to be customized. As you add more social networks to your pile, add their public links to your Google+ profile so you have a list of all the networks you belong to in one place. Just click on Edit Profile and add a custom link. If you make a habit of adding each network you join to your Google+ profile, you’ll be able to easily keep track of all your networks. You can create a landing page for yourself and your online presence with one of many simple one-page portals available online. 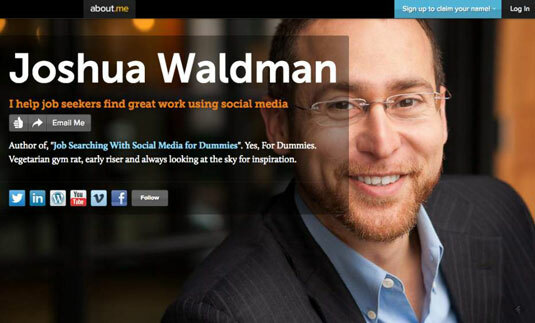 These websites let you aggregate all of your social networks into a single dashboard. Not only is this helpful for other people to learn more about you, but it can also help you stay organized in case you forget what networks you’ve joined. 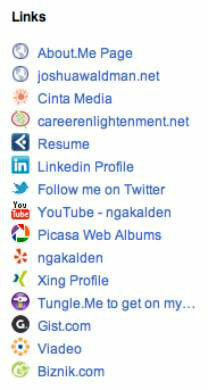 Notice the list of social networks. Go to Delicious.com and sign up for free. Install the Delicious bookmarklet (button) for your web browser. Use Delicious to tag any social network you join. Be sure to use the same tag, such as “Social Network” or “Profile” for all the networks you join. Use your browser bookmarklet or go to your Delicious account to see what pages you’ve bookmarked. When you search for your chosen tag, all the networks you’ve joined come up in a list.